3D printing technology has been around for a while but 2013 saw it sneak very quietly towards the mainstream. In the coming year, we’ll begin to see the general public start purchasing 3D printers to use at home. If you have a quick search online, you will find downloadable printing plans for toys, novelties, tools and some other small household items. As the price of printers and printing materials come flying down, designs will be more readily available and copyrighted. If the entertainment industry thinks it’s had it tough with pirating, any company that makes a tangible product must be terrified of their designs being made available online. 3D printing is also causing waves on a scientific front, with one of the things to look out for being organ printing. We’ve had 3D televisions for a few years now and as much as they’ve done well, they’re still not a main part of our lives. The demand for high definition is always growing however, and with 4K TV’s, the demand is certain to be met. Still at extortionate prices, these sets still won’t come cheaply in 2014 but they will become more widely available. Your show-off friend will certainly have one by the time 2015 comes around. Google Glass is the black sheep of the wearable technology family. The smart glasses that can take and make calls with a built in camera seem to be a bit of a joke in some tech circles. They are also incredibly pricey and many don’t seem to be catching on to the idea that they can film or be filmed all day every day. However, smart watches seem to have a hit a spot. 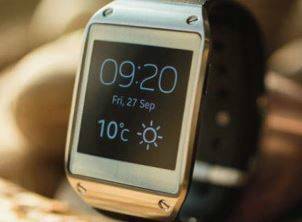 Samsung pairing their advertising campaign for the Galaxy Gear Watch and the Galaxy Note 3 ‘phablet’, has brought the technology to the consumer eye without reaching huge sales. I expect the next gen of smart watches to become more prevalent- Apple iWatch maybe? Also look out for socks that track your running pace and blood pressure. Here there and everywhere. Tablets and phablets are a phenomenon. Many of us can’t live without them. 2014 will bring cheaper, smaller and more powerful versions of all that we have now. Forbes predicts a 20% increase in the tablet market in 2014, a huge number for an already huge industry. The iPod changed the world, but MP3 players have been decimated by smart phones and tablets in a similar vein to GPS units and digital cameras. There is simply no need to carry more than one item. Will e-readers go the same way? They will be the freeview box of tomorrow. Assigned to smaller rooms in which older, non Smart TV’s will be. The exciting part of this will be if we get a top of the line Apple HD TV set to replace its TV accompanying Apple TV box. Panasonic has announced that this year will be the last in which they make plasma television sets. OLED and 4K technology has surpassed what plasma can do and with the prices coming down there will be no good reason to buy an inferior product. Many hardware problems relate to when a HDD fails. Due to the moving parts that move at incredibly high speeds, they will inevitably burn out or fail at some point. This causes us to lose all of our data and in many cases have to replace the product. With the introduction of Solid-state drives, this will be a thing of the past. The SSDs don’t actually have a drive, so the parts won’t fail. They are now reaching as high capacities as the HDDs and will therefore remove the need and desire to have a drive with moving parts. They are also much smaller and will be cheaper in the long run.